Matt's office is on the first floor in this house! How fantastic for him! No more basement dwelling. 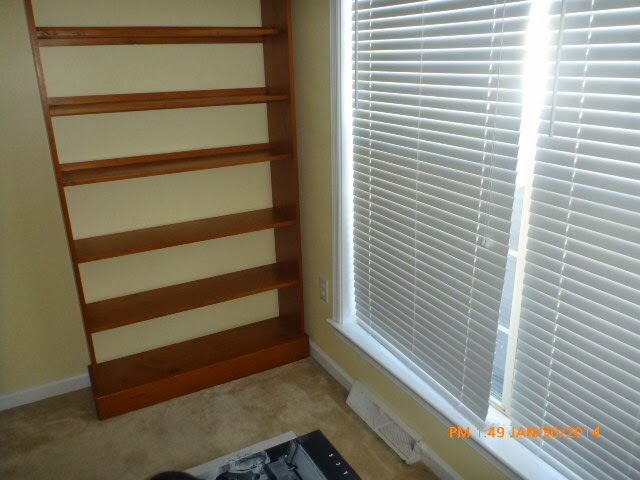 This is the only room that was spared the carpet purging because they were decent and Matt has aspirations of installing something.... else. Probably with a gothic undertone. You'll see. Did he achieve his gothic look? The wall color and stripes were all his idea. 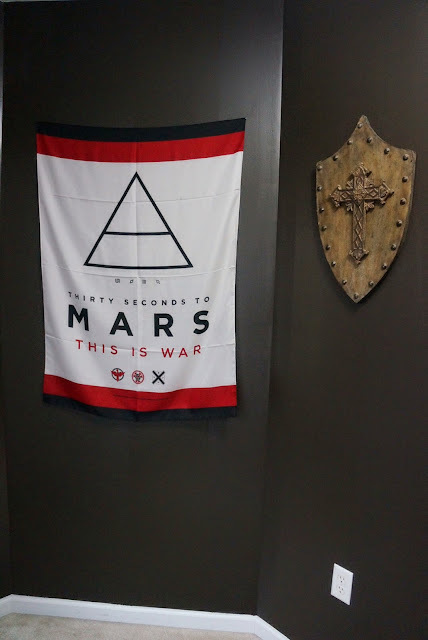 Well that and the 30 Seconds to Mars flag. 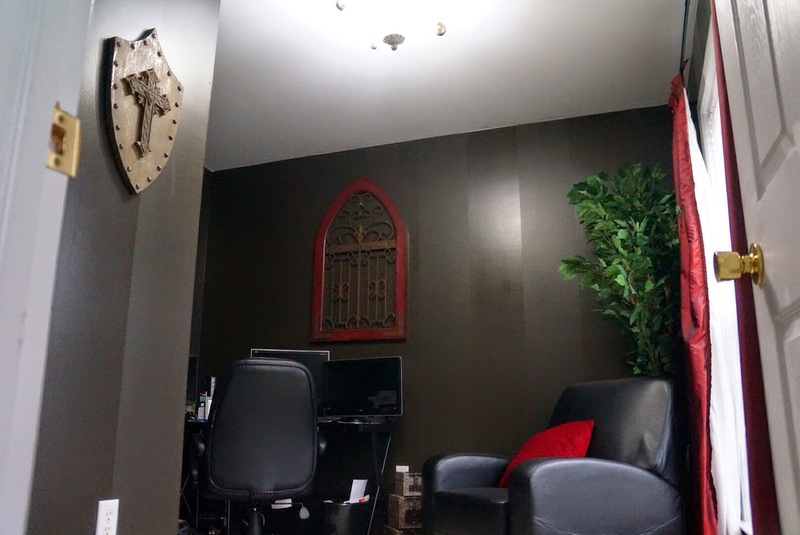 The addition of the red and the recliner and other wall decor items were all my doing going off of his "vision." But this room suits him. It's got a recliner after all. I want to get him a red rug. That's all that's left in there if you ask me. Other than some wire organization but that is just not my forte. I love the flag. I have a Mumford & Sons one that I need to hang somewhere! Damn thats quite an office. Its very vampiric. In a good way. I love it : ) Seeing it in person in a week. Booyah. That is quite the dungeon, I mean office! haha! 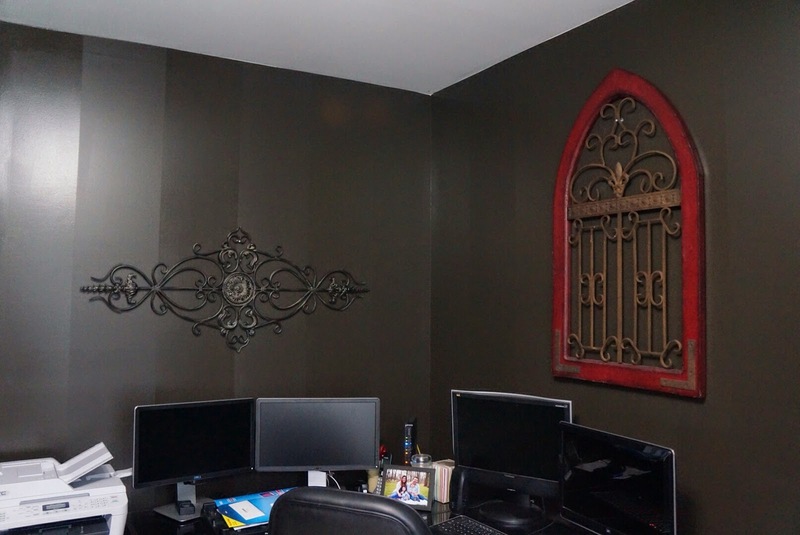 Chris's office is in the basement, and we call it his dungeon of doom. I think Matt needs one more computer screen on the desk though...maybe? haha! 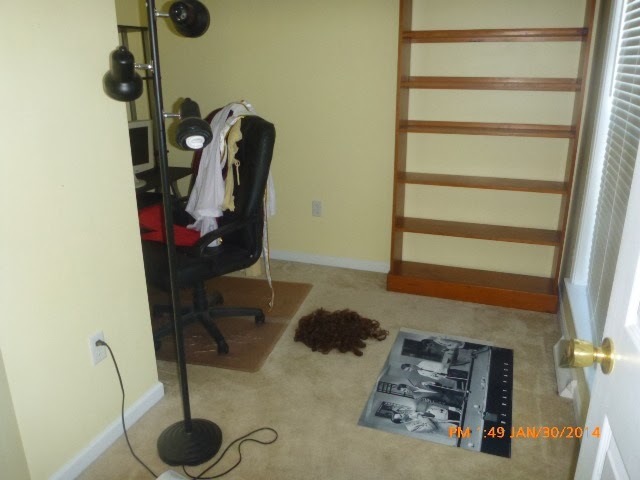 He took man cave literally.